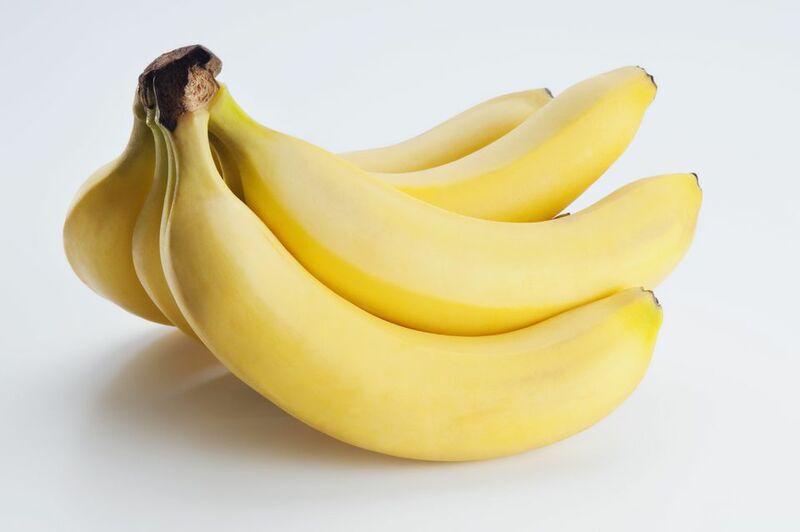 If you are like most people, you probably do not give a lot of thought to the banana, a perfect hand-held snack that comes in its own natural package, and one of the few fruits available year-round. But there's a lot to know about this specific product. For example, although it has a long pedigree, the sweet yellow banana we are all so familiar with is a mutant strain which developed from original red and green cooking bananas most often called plantains. And did you know that bananas are herbs? Although referred to as banana trees, they are not trees at all but a perennial herb. What appears to be a trunk is not truly a trunk, it's actually many leaves tightly wrapped around a single stem which emerges at the top as the fruit-bearing flower stalk. The fruit fingers grow in clumps known as hands since they resemble--you guessed it--a hand with fingers; there is an average of 10 to 20 fingers per hand. When the hand is split, the bananas form clusters, which are made up of roughly three to eight bananas each. The entire stalk, known as a bunch, takes up to a year for the fruit to ripen enough to be harvested. The original stem dies after producing fruit, but then side shoots rise from the same underground corm the bulblike base of the stem to produce a new plant to be harvested the following year. The fruit itself is sterile, and therefore unable to produce a plant from the minuscule dark seeds within. Some banana trees continue producing up to one hundred years, although most banana plantations renew their stock every 10 to 25 years. It is believed there are over 1,000 varieties of bananas in the world, with the yellow Cavendish being the most favored in America. Americans consume an annual average of 28 pounds of bananas per person. Bananas are the world's best-selling fruit, outranking the apple and orange. Aside from the fruit, the tree itself also has uses. The leaves are used as wrappers to steam foods in Latin, Caribbean, and Asian cultures. The banana flower is also edible, but if you eat the flower, you obviously won't get any fruit. The banana is also a distant cousin to ginger, turmeric, and cardamom, and is botanically classified as a berry. Although primarily eaten out of hand or in as part of breakfast and desserts, sweet bananas can also be used as an accent in savory dishes. If you're ever stranded on a desert island, just hope and pray it contains a banana tree bearing the world's most perfect fruit.